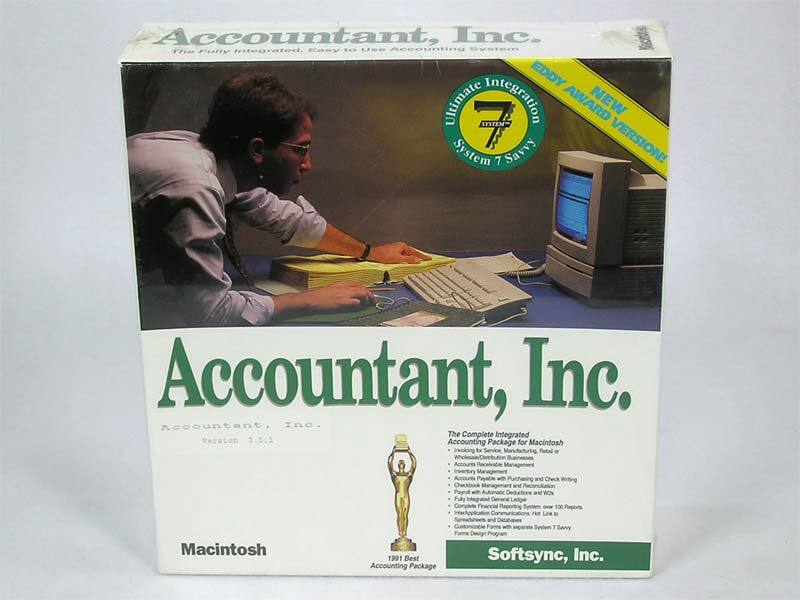 Apple Rescue of Denver » Products Page » Books and Software » Macintosh Software » Accountant, Inc. 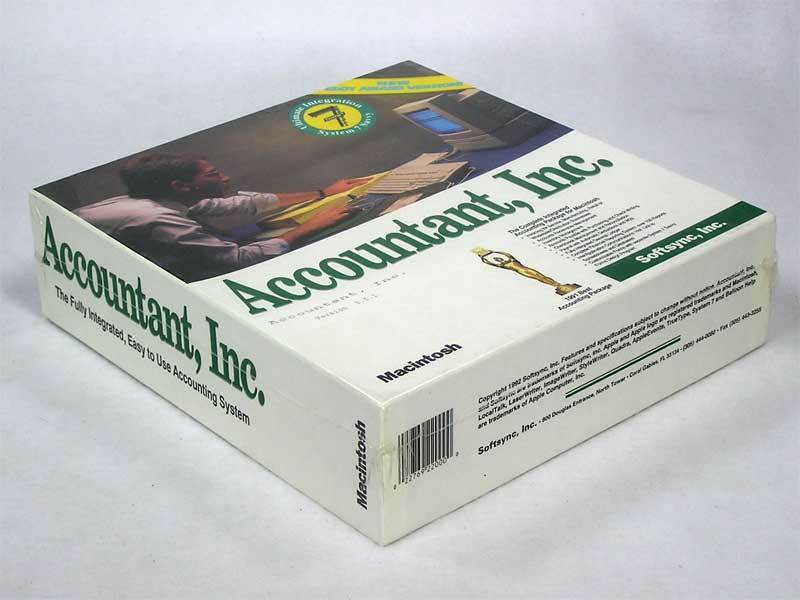 Accountant, Inc. is an integrated, full-featured professional accounting system that makes the most of System 7 technology: InterApplication Communications, Publish and Subscribe, Balloon Help and TrueType. 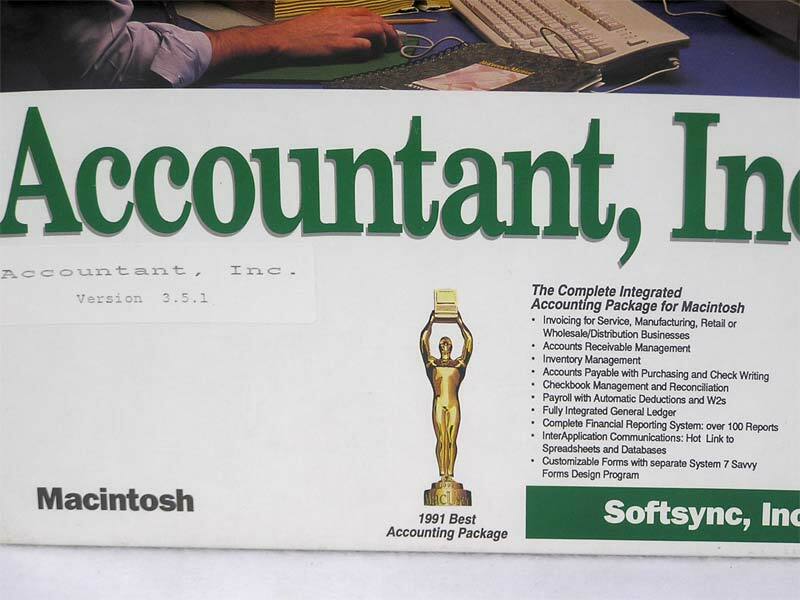 This accounting System by SoftSync, has integrated General Ledger, Accounts Receivable and Payable Ledgers, Inventory management, Payroll, Check Writing, Invoicing and Extensive Reporting. You can also dynamically exchange information with spreadsheets and data bases. 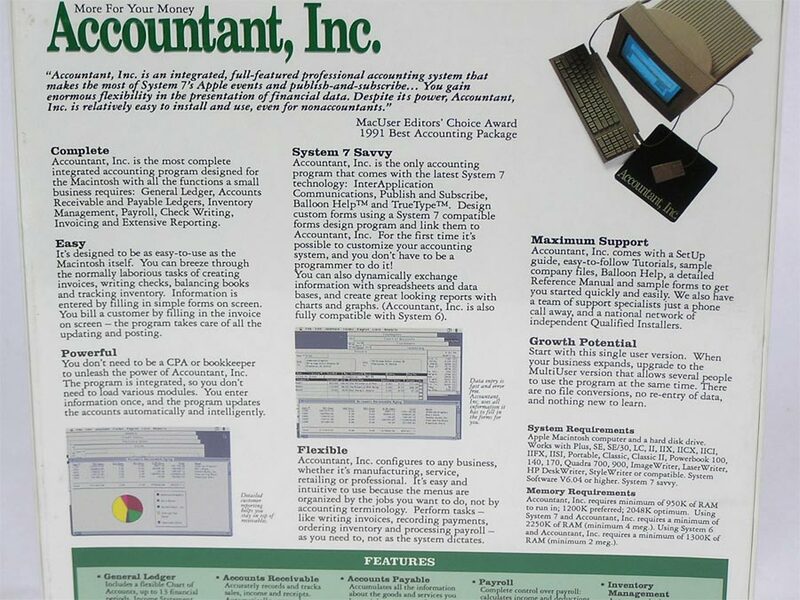 System Requirements: Macintosh Plus or above with a hard disk drive. System 6.0.4 or higher. 2 meg memory for System 6 or 4 meg for System 7.